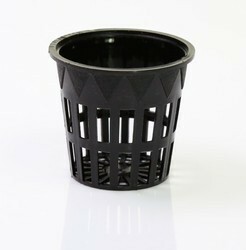 Our product range includes a wide range of higro net pot, higro plastic net pot and higro plastic net pot 2 inch. We provide Higro Net Pot to our Clients. 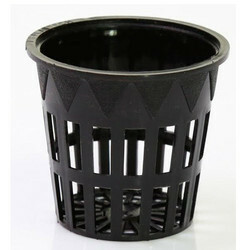 These are high quality Higro Net Pot with an upper diameter of 2 inch which allow the roots of plants like leafy vegetables, strawberries to grow through the mesh for easy breathing and growth. They provide good air circulation to the roots. An additional advantage is that the 'Transplant Shock' is reduced as the plant and the pots are transferred to the growing system as a composite unit. These are high-quality Net Pots with an upper diameter of 2 inches which allow the roots of plants like leafy vegetables, strawberries to grow through the mesh for easy breathing and growth. They provide good air circulation to the roots. An additional advantage is that the 'Transplant Shock' is reduced as the plant and the pots are transferred to the growing system as a composite unit. Looking for Net Pot ?